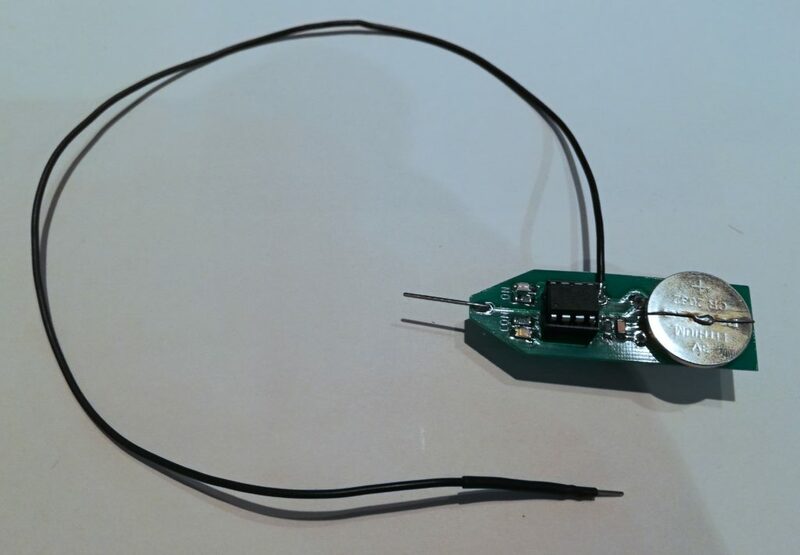 A while ago I stumbled on an interesting project over on the Technoblogy – an ATtiny85 continuity tester. I found the idea interesting, and decided to build a few of these testers myself, as I very often need to check continuity between two traces and not always is there a multimeter nearby. So the idea and hardware mostly comes from Technoblogy and its author, I just made a few changes to it and decided to publish my version. I advise you to read the original article first, as I won’t be explaining much of the inner workings. 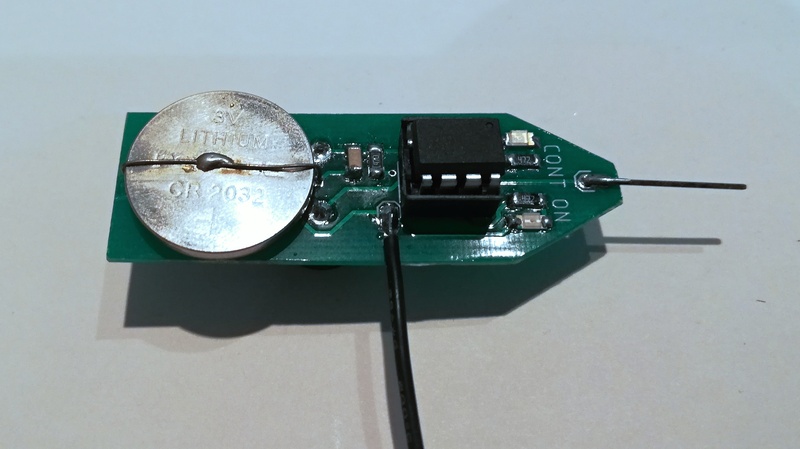 I switched to less exotic components – the buzzer I used is the most generic Ebay one (thus very cheap and easy to get) and also I opted for a CR2032-type battery, which is much more common that the one used in the original project. I added an ON LED – to signal whenever the circuit is on or off, good for debugging and during general use. And most important – I switched to ATtiny13, because to be frank – the ‘tiny85 is an overkill. Tiny13 is much cheaper and it’s internal memory is big enough for such a simple code. Also I have fully rewritten the code, see below. Finally, regarding the MCU, I used a DIP version instead of an SO-8 – this enables you to reprogram the MCU, should you decide to do so, at any given time. The code is rewritten in C++, not Arduino.